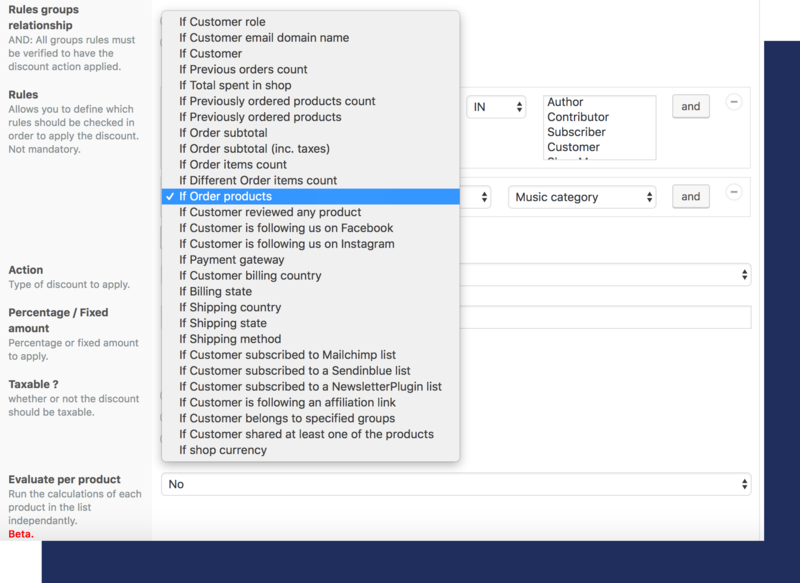 Set up bulk discounts by applying a percentage or fixed discount off the quantity of an item ordered by your customer. It is a selling strategy that works for product sellers that want to move unsold products faster. 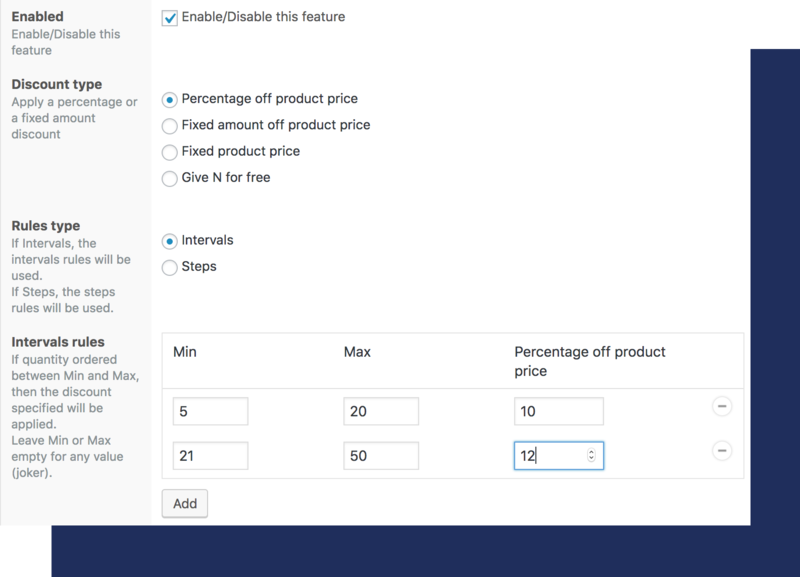 Create any kind of discount depending on your customers. 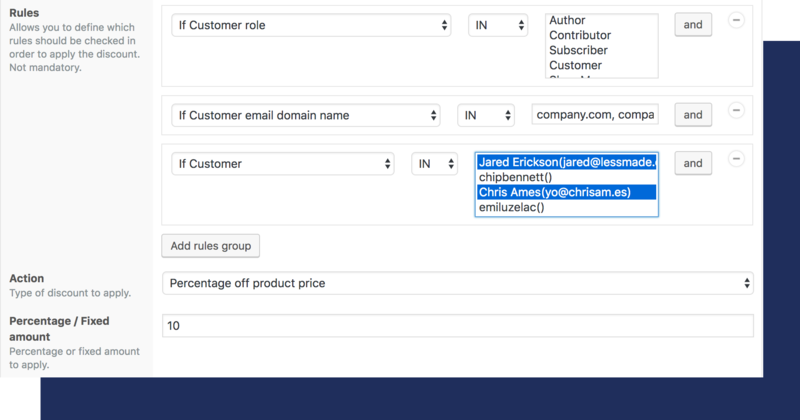 Whether the customer has a specific role, belongs to a specific users group or checks in with a specific email domain. 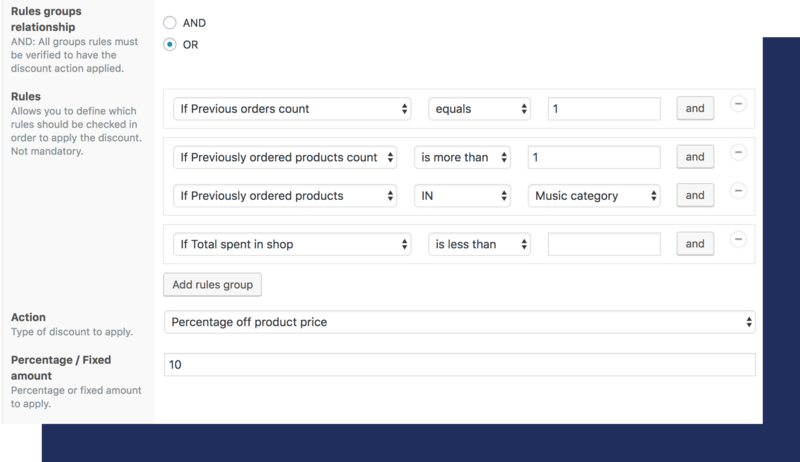 Setup discounts based on orders made by customers, whether it is a first order, more than 1 order or the number of time a certain product was purchased from your store.